We are excited to announce that we will be having dance classes here at VIP KIDZ CLUB with CJ Husley as our lead instructor! Classes will feature a mix of Ballet, Tap and Jazz with a focus on fun, movement, balance, and concentration. Our beginning class on Monday will be open to ages 3 and up. 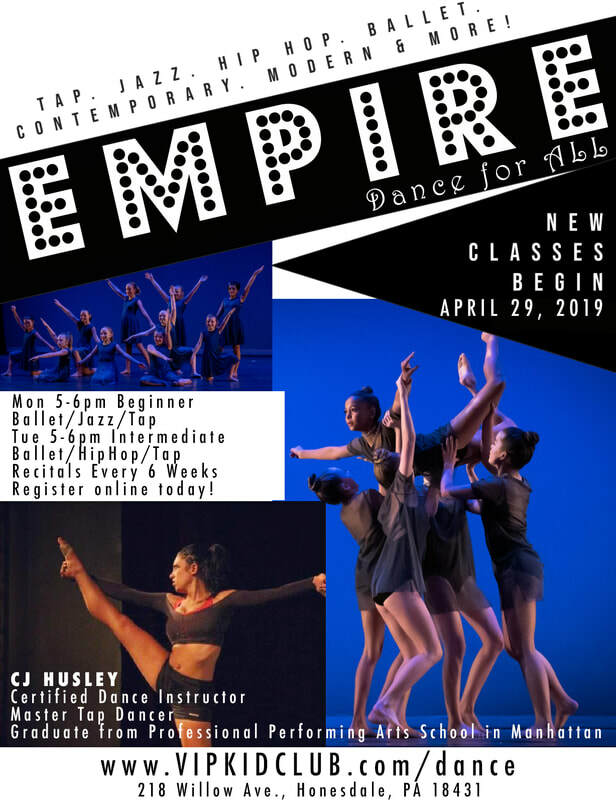 For Intermediate Dancers we will be hosting classes on Tuesday. Every 6 weeks we will be having a recital to showcase what the children are learning in class. ​Register today by filling out the form below!